Summer is in full swing and we are always looking for delicious ways to cool down! If you’re planning a summer wedding or wedding shower, waters infused with fruit, vegetables, and herbs are a simple and elegant addition to your menu. (And an easy way to keep the non-alcoholic beverages flowing at an outdoor event!) When it comes to flavor combinations, there are endless possibilities; get started with three of our favorite naturally flavored water recipes. 1. Add raspberries to a jar or pitcher and break up gently with a wooden spoon. 2. Cut the oranges into wedges; squeeze juice into the jar and then toss the wedges in too. 3. Add water, cover, and chill until ready to serve. 1. 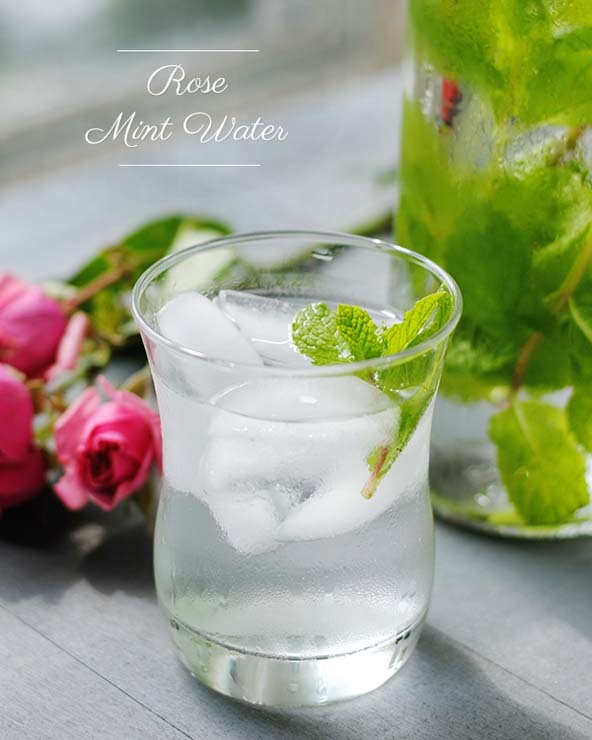 Add mint sprigs and rose water to a jar or bottle. 2. Add water and rose water; cover and chill until ready to serve. 1. Put rosemary in a jar and massage gently with a wooden spoon. 2. Add watermelon to jar and gently mash some of the cubes with a wooden spoon. 3. Pour in water, cover, and chill until ready to serve. – Be sure to wash your fruit and herbs well before using! – For most flavored water recipes, we suggest using a wooden spoon to gently crush some of the fruit and/or herbs to release the flavors. – We recommend chilling for about four hours before serving; the flavored water will stay good in the fridge for up to three days. 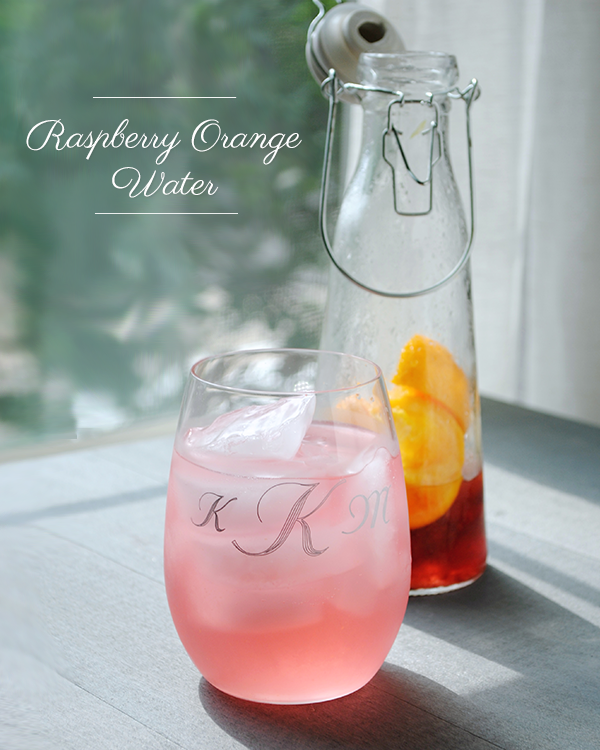 – Experiment with sparkling water, different quantities of fruit and herbs, and different flavor combinations! Who knew H2O could be so elegant?! 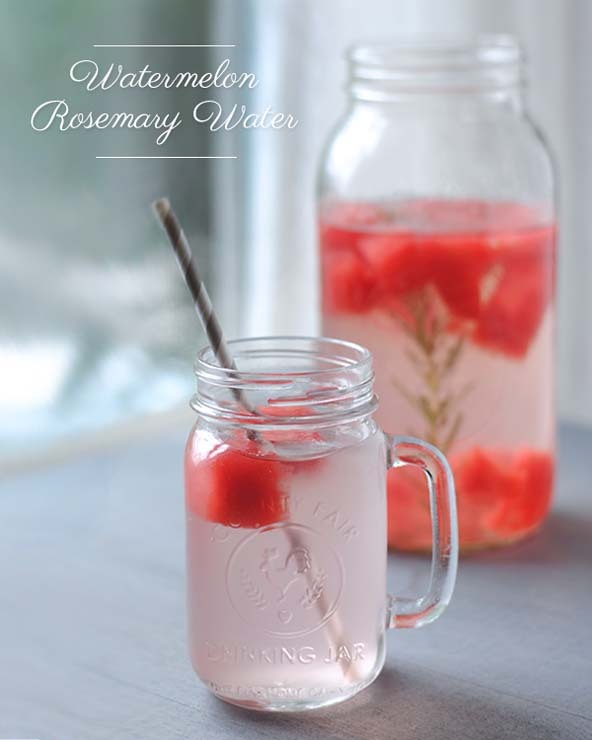 Upgrade your guests’ Evian with these pretty sips and they are sure to stay hydrated and healthy!